On Holy Thrusday, the streets in Albacete switch off their streetlights. 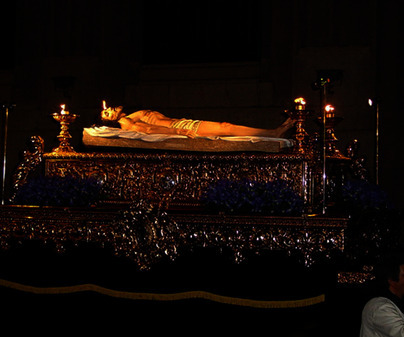 The Silence Processiongoes around the streets in Albacete only lit by the image of the Santísimo Cristo del Consuelo (Holy Christ of Consolation). 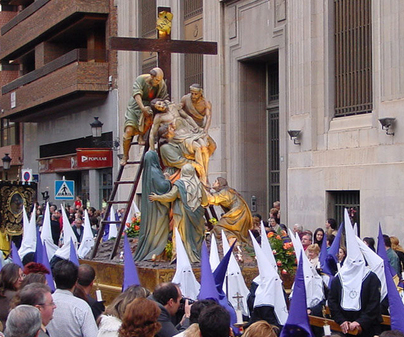 Just one example of the twenty-one processions that, organized by the eleven brotherhoods, represent each one of the Easter events from Palm to Easter Sundays. It is especially interesting the one starring children on Holy Monday carrying scale replicas of the main paces. Palm Sunday: Palm Blessing and Palm Procession. Holy Monday, organized by the Congregation Brotherhood of Ntra. Sra. de las Angustias (Our Lady of Anguish), processional parade where children between 4 and 12 years take part. Holy Tuesday: The Prayer in the Garden Procession. Holy Thursday: Meeting Procession, Calvary Procession, Ntro. Padre Jesús de Medinaceli (Our Father Jesus of Medinaceli) Procession, Sorrow at Night Procession and Silence Procession. Good Friday: Ntra. Sra. 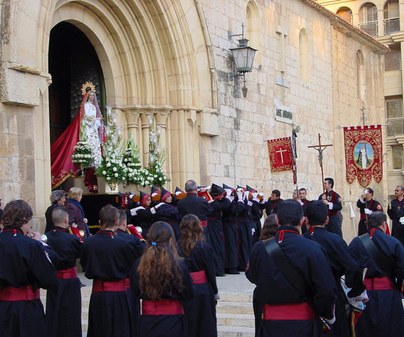 De las Angustias Procession, Holy Stations of the Cross Procession and Solemn Holy Burial Procession. Holy Saturday: Ntra. Sra. de los Dolores (Our Lady of Sorrows), Nuestra Sra. de la Piedad (Our Lady of Piety), Ntra. Sra. de la Amargura (Our Lady of Sadness), Ntra. Sra. de la Esperanza Macarena (Our Lady of Hope of Macarena), Ntra. Sra. 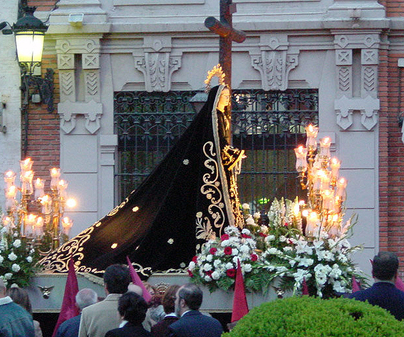 de la Soledad (Our Lady of Solitude) and Resurrection Processions. Movable date: From Palm Sunday to Easter Sunday. Get ready for candies. 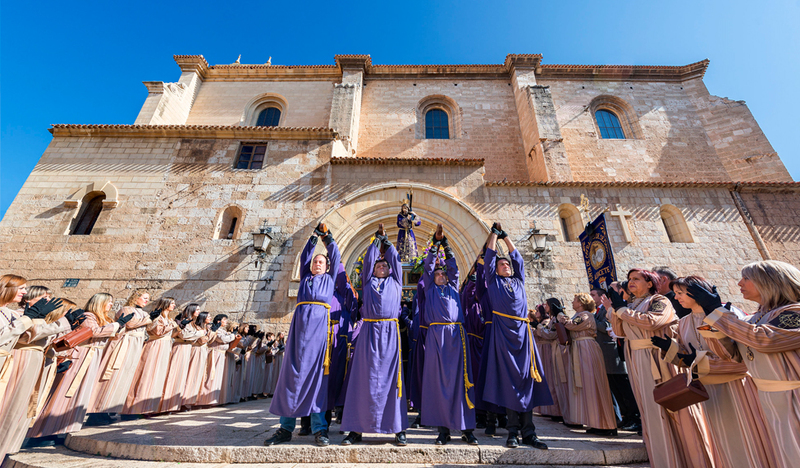 It is typical in Albacete processions that the Nazarenes give away candies for the smallest ones. To know the procession itineraries, please contact the Tourist Office at 1, Altozano square; Phone no. (+34) 967 630 004. Open from Monday to Saturday from 10 to 14 and from 17 to 21 h., only in the morning on Sundays, and they move the closing time back to 20 h. from October to May.